In most countries jumping out of a plane sounds like one of the craziest things you can do but in NZ its just another day at the office! To do tandem skydiving you don't need any training or experience as they latch you onto an expert and you jump out of the plane together. 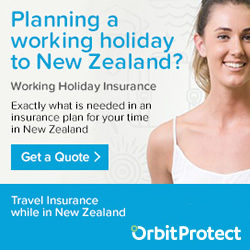 Make sue its on your list for NZ and get a video and photos so show to all your mates back home! 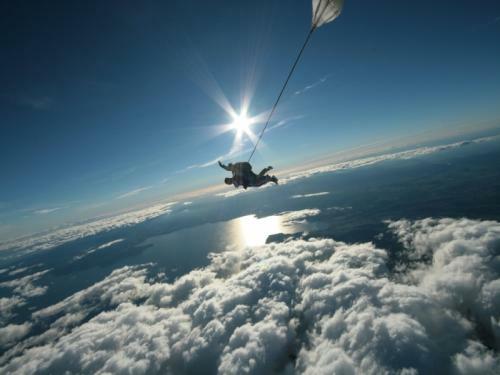 We are the original tandem drop zone in New Zealand, and have been skydiving over the beautiful Lake Taupo region since 1992. 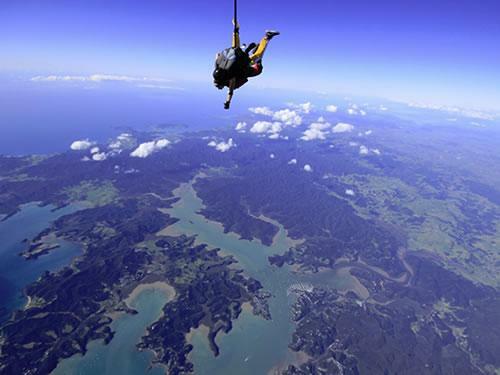 $199 for 9,000ft, $279 for 12,000ft, $359 for 15,000ft - NZ’s cheapest skydive! 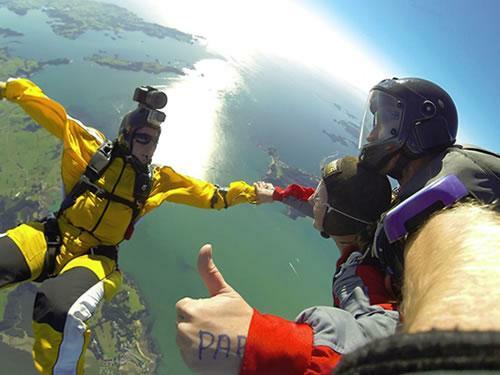 NZ's No 1 destination for skydiving at the beach. The spectacular views of clear turquoise water, long stretches of golden beaches & lush countryside will take your breath away. Combining the traditional Maori hospitality with the thrill-seek Kiwi way, these guys will take you on an incredible journey above the most stunning drop zone in New Zealand. Innovative and progressive, we’re dedicated to delivering a unique tandem skydive experience, with high standards of safety, comfort and personal service. We are the original glacier skydivers. Since 1997 we have taken over 30,000 very happy customers on the ride of a lifetime. 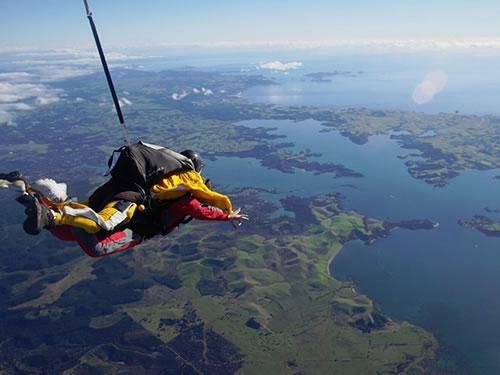 Experience the highest skydive in the North Island at 16,500ft with 75 seconds of freefall over amazing views. Free transport available. 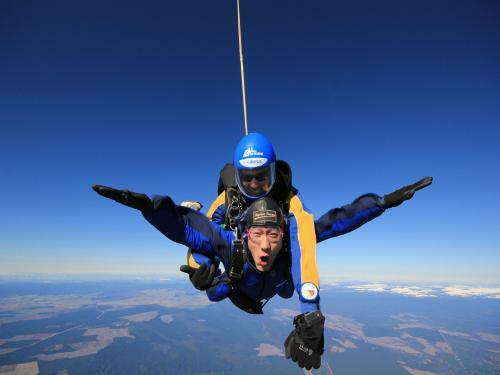 NZ’s highest tandem skydive 19,000ft in the premier location above and between the highest mountains, glaciers and ocean. Book now! This small personal dropzone is able to offer impressive views ranging from White Island through to Mount Ruapehu. Love it or fear it – most people visiting New Zealand will probably want to do a tandem skydive, even if it’s just to tick off from a bucket list or maybe because you have succumb to some gentle peer pressure. 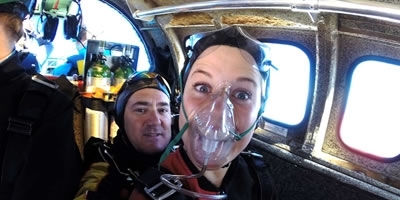 And depending on who you speak to – many argue that a skydive is less scary than a bungy jump, because let’s face it, you have absolutely no control of when you are going out of that plane door! But whatever your reason for taking a jump it will certainly be one of the highlights of your trip. And like the bungy, the Kiwis are masters of skydiving and as such it attracts extremely experienced masters from all over the world. These guys, with their infinite skills have literally hundreds of thousands of jumps under their belt, so you are in extremely safe hands. 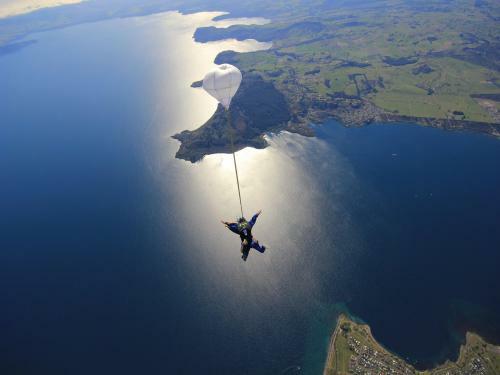 With the stunning landscape of New Zealand you will also be treated some amazing jump sites whether it be jumping over lakes, islands, beaches or national parks which you will probably not find in such diversity anywhere else in the world. So you have decided this activity is for you – now you need to decide where and who to jump with, so we have listed all your options in once place. Blue skies, azure waters, golden beaches and sunshine are what Bay of Islands Skydive are all about. Choose from their four different heights – 9,000ft, 12,000ft, 16,000 ft and 20,000ft then take in the amazing scenery of the 144 islands which make up the Bay of Islands, as you gracefully descend. And if that isn’t tempting enough then why not opt for a beach landing – which is the only place in New Zealand where you can. With over 20 years in the industry, Skydive Auckland are a great choice and most certainly provide you with a crazy, adrenaline-charged, but safe, skydiving experience. 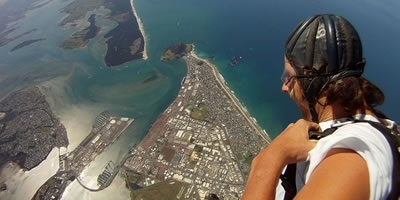 Skydive Auckland also offer the highest jump on the North Island at 20,000ft, so whether you go for that or something a little less daunting, you will still be assured of some impressive views over Auckland and its surrounding area, as you make you descent back to terra-firma. 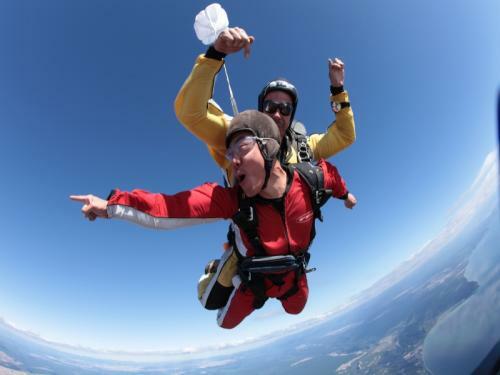 Be sure to book ahead though as the tandem skydives here do tend to get booked up in advance. 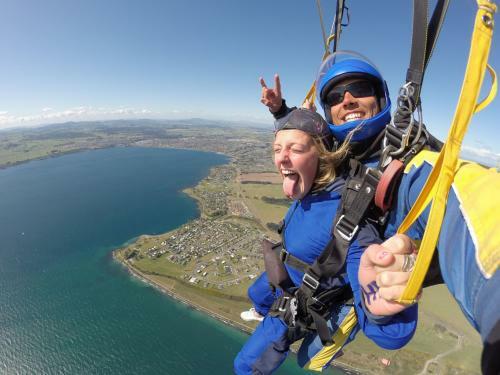 Located between Auckland & Hamilton are the super cool folks of GoSkydive New Zealand. 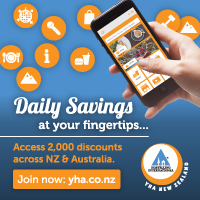 As you make your descent you’ll be treated to some epic views of the Coromandel, Auckland City, Hamilton City and both the Tasman Sea and Pacific Ocean. They were also the first company in New Zealand to be certified by the Civil Aviation Authority in accordance with its new safety management rules, so you are in the safest of all hands. 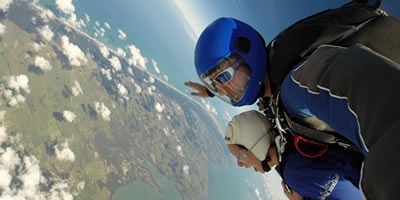 Probably offering in the best and most diverse mix of breath-taking views in the whole of New Zealand are the tandem jumps with Skydive Tauranga. As you majestically float back down to earth you’ll catch sight of golden beaches, rivers, cities, mountains and volcanoes which make up the surrounding landscapes of the Coromandel, East Cape, Bay of Plenty, Rotorua, Mount Ruapehu, Mount Maunanui and Mount Taranaki. 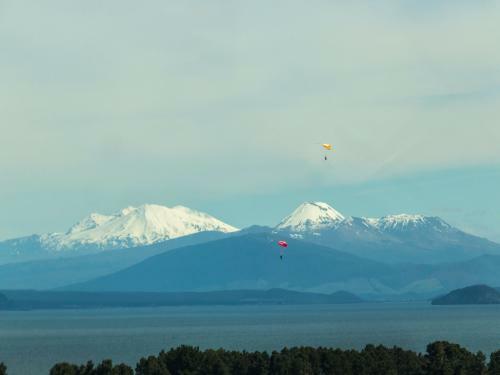 You can see why Taupo and its surrounding landscapes make for an awesome jump location, as there are not one but two companies here. 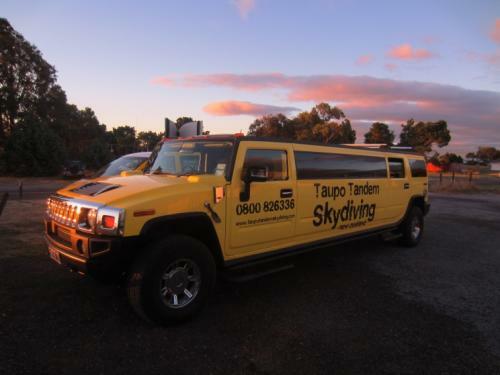 Taking a ride in their iconic pink plane will just be the start of your extremely memorable day with Skydive Taupo. On your 20 minute journey up to the drop zone, the highly experienced team of jump masters will keep you entertained and relaxed before you make your leap of faith from ‘pinky’ the aircraft. They also represent fantastic value for money – and certainly the most feet for your bucks. Operating for over 25 years are the wicked team at Taupo Tandem Skydiving. Choose from 4 jump heights ranging from 9,000ft to 18,500ft, but which ever height you choose you will be treated to amazing views over Great Lake Taupo, Mount Tongariro, Mount Ruapehu and Mount Ngauruhoe (a.k.a Mount Doom from the Lord of the Rings).... if you dare look out of the window (or open your eyes on your descent) of course. Skydive Wellington are the only company near Wellington, so a great option if you are only staying in or around New Zealand’s capital city. After taking the 20 minute flight to your exit altitude, you’ll probably initially scream, but then during the 5 or so minutes descending back to earth your experienced master will point out some of the sights over the Wairarapa, before hopefully make a soft landing back where you started. 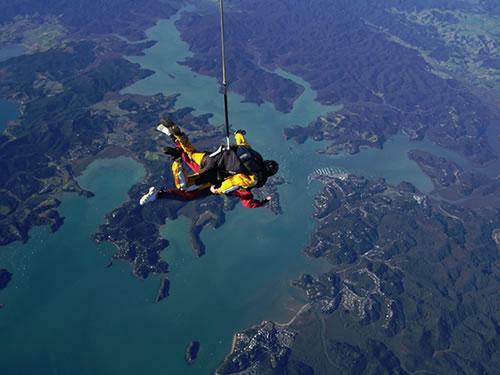 Based in the stunning Abel Tasman are the highly experience team at Skydive Abel Tasman. Jumping from this super central location means this is one of the few, if not only jump site, where you get to see the most of New Zealand in one go – so feast your eyes on the North & South Islands, the golden beaches & azure blue water of the Abel Tasman national park as well as the mountains and waterways as you float back to earth. Nowhere in New Zealand will you jump higher than with the team at Skydive Franz, so if you are have a Go Big or Go Home mantra then these are the guys for you. Jumping from around 20,000 feet you’ll experience over 85 seconds of free fall above the most amazing glacial and mountainous landscapes of Westland and Mount Cook National Parks. With the Southern Alps, rainforest, glaciers and oceans as a backdrop to your jump, you will really be spoilt for choice as you make your descent from the original glacier skydiving company. And don’t just take our word for it – in 2016 Skydive Fox were voted the most scenic skydive in the world! The team at Skydive Fox have now taken over 30,000 folks on their ride of their lifetime, so you can be assured that you are in experienced hands. Have a truly Kiwi experience with team at Skydiving Kiwis, who’ll not only offer you the ride of your life but you’ll be treated as part of their kiwi skydiving family whilst you are there. 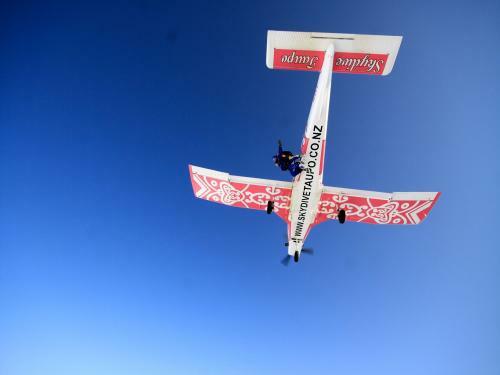 They also have an impressive safety record, along with highly experienced instructors, makes this jump over the beautiful Canterbury plains, a truly epic experience. 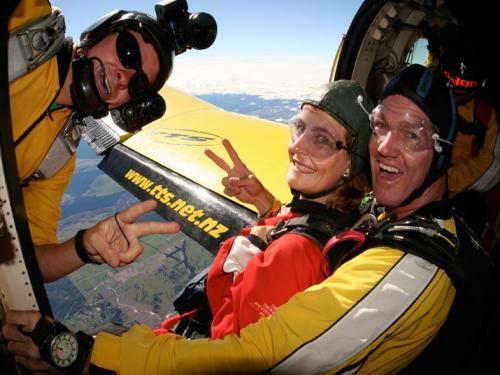 The utterly cool guys and gals at Skydive Wanaka will take you on the ride of your life with some of best and most experienced tandem skydive masters in the business – or their ‘beautiful strangers’ as they like to be called. You relatively short 15min flight to your drop zone will take in some uninterrupted views of Wanaka’s stunning lakes and mountains and if you are lucky with the weather, Mount Cook as well. They are also proud to boast that they have in their team of beautiful strangers the most experienced parachute packer in New Zealand – packing over 32,000 parachutes. The team at NZONE Skydive were New Zealand’s fist skydiving company and their popularity has never diminished. 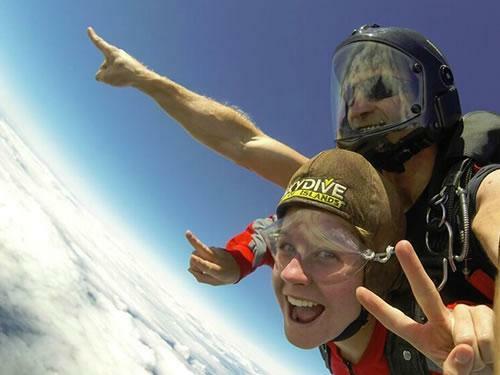 Having now racked up over 300,000 tandem jumps they are really the most experienced in the business and along with world leading skydiving facilities, you’ll be sure to have the best day and ride of your life. You also get to jump out over some of New Zealand’s most beautiful scenery, taking in the Remarkables mountain range. 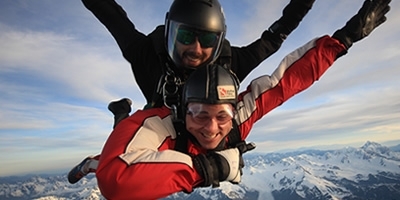 Where can be cooler than taking a jump over Middle Earth, which is exactly what you’ll be doing with the team at Skydive Southern Alps. Based in the beautiful Glenorchy, also known as the “gateway to paradise” you’ll be treated to some of the most beautiful and majestic views of snow-capped mountains, glaciers and lakes & rivers of the national parks as you make your graceful descent back to terra firma.